Main effect is to protect liver cells from the harmful effects of various factors such as alcohol, medicaments, viral infections, industrial pollutants. By impaired liver cells contribute to a rapid recovery. Used for the treatment of chronic toxic liver damage, for maintenance treatment in patients with chronic inflammatory diseases of the liver and hepatic cirrhosis. 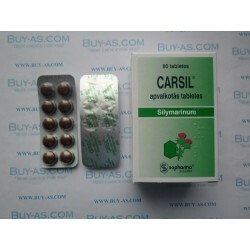 Carsil is a medicine that contains the active substance silymarin, isolated from the fruit of the milk thistle plant. Silymarin activated protein and phospholipid synthesis in injured liver cells, stabilizing cell membranes, binding free radicals (antioxidant effect). 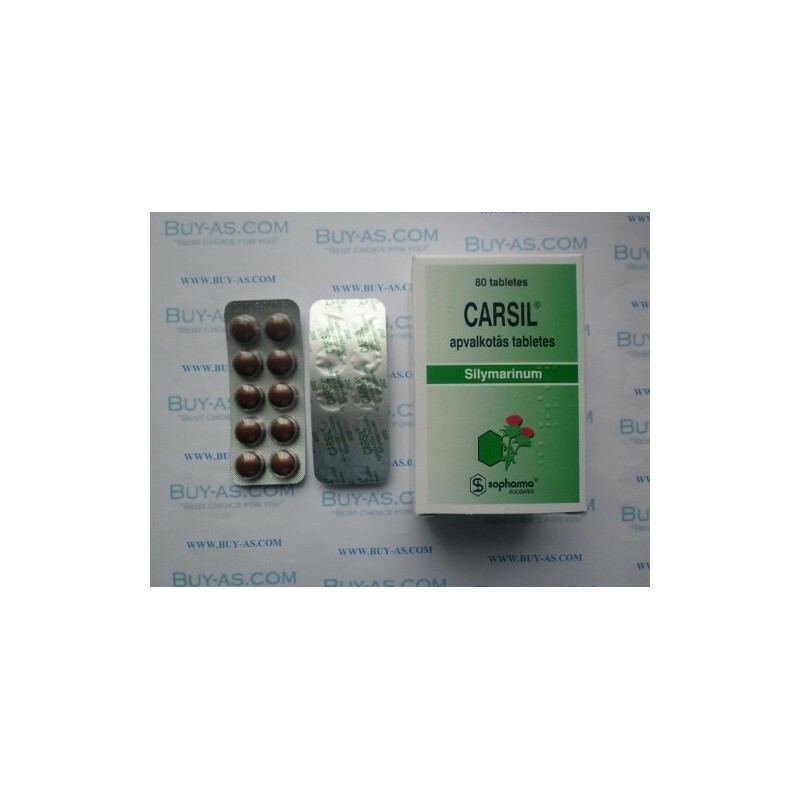 Carsil coated tablets are taken orally with sufficient amount of liquid. The usual dosage is of 6 coated tablets 3 times a day (equivalent to 405 mg silymarin). If your symptoms persist, seek the advice of your doctor. Duration of treatment is determined by your doctor. If you take more than you should Carsil If you take a dose higher than prescribed, talk to your doctor. If you forget to take Carsil If you miss a dose, take it as soon as possible. If it is almost time came for the next dose, take it as usual. Do not take a double dose to make up. Continue to take your medicine as prescribed. If you have any further questions on the use of this product, ask your doctor or pharmacist.